The life of a gardener is spent with one foot in beds tending to what is currently growing and the other foot planning 2-3 seasons ahead. I think it is the anticipation or daydream of what we could be growing is what keeps us going as the gardens go to bed over the fall/winter season. My garden to do list is filled with cleanup tasks, but what has me excited is the collection of spring bulbs I am currently planting. 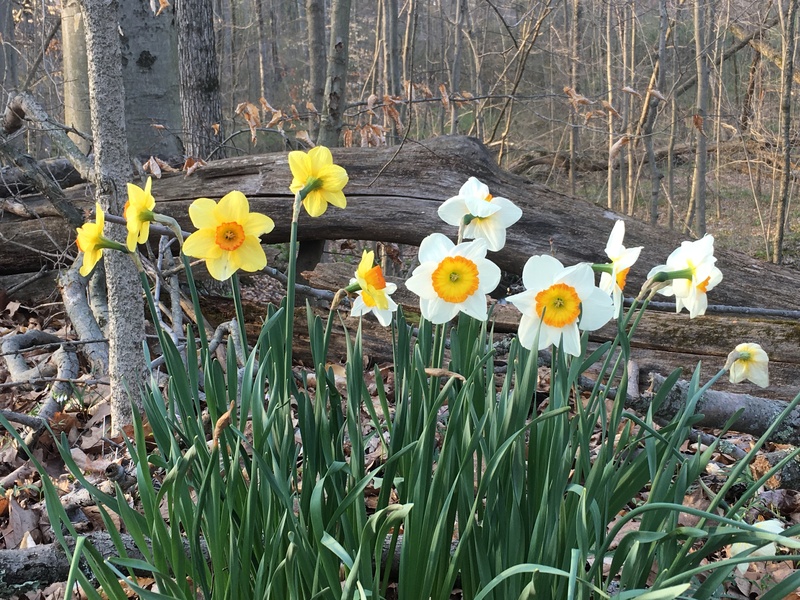 One of the spring bulbs we are planting at home and across client properties are daffodils. 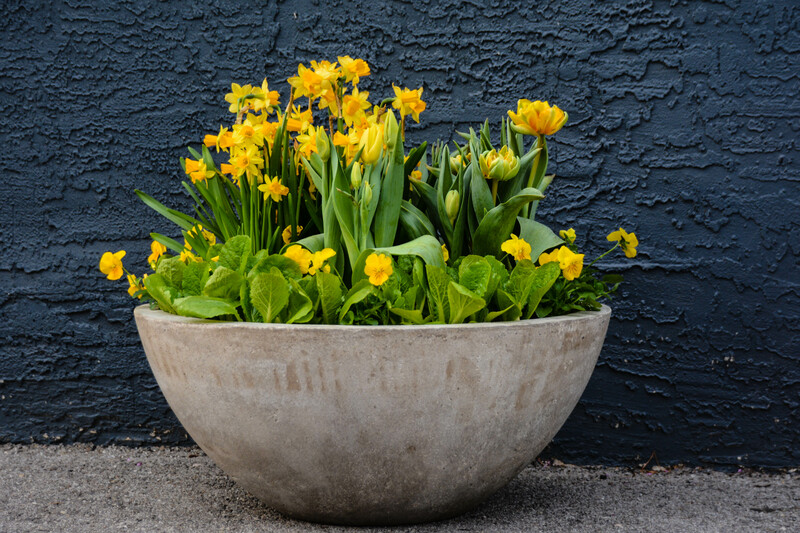 Along with many spring bulbs, daffodils are easy to tuck into your existing beds without disrupting existing perennials and easy to plant for any novice. 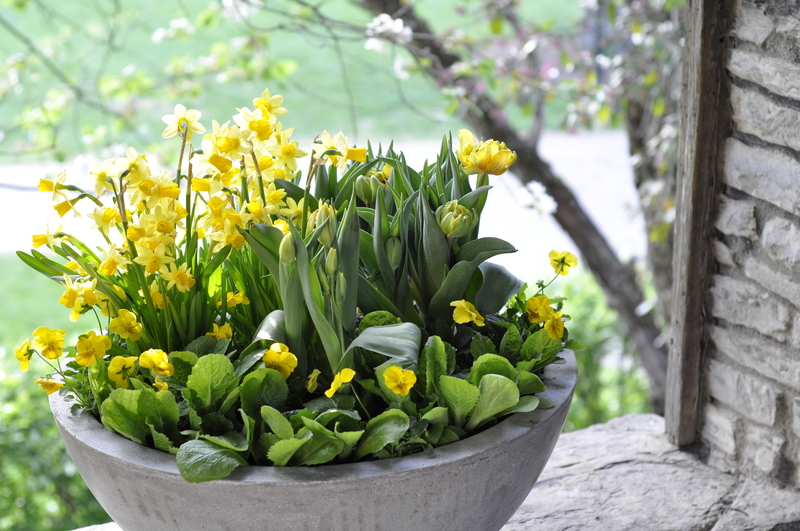 This year, my daffodil inspiration is the unexpected places you see the flowers blooming during the spring. 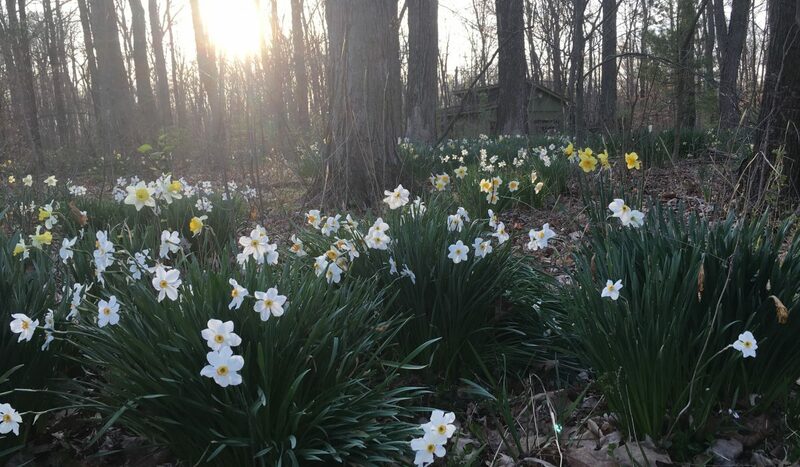 At home we have masses of daffodils tucked throughout our woodland in sporadic groupings incorporated around the trunks in clusters of multiple varieties. These groupings are relics of a home burned down 20 years ago on our property and have naturalized over the years into this completely organic pattern. The palate of whites, oranges and yellows allow you to mix many different varieties together without the flowers clashing, and depending on the combos, pull out the different features of each variety. The fallen leaves provide a great foil to the vivid green leaves, and help hide the foliage as it dies back later in the season. 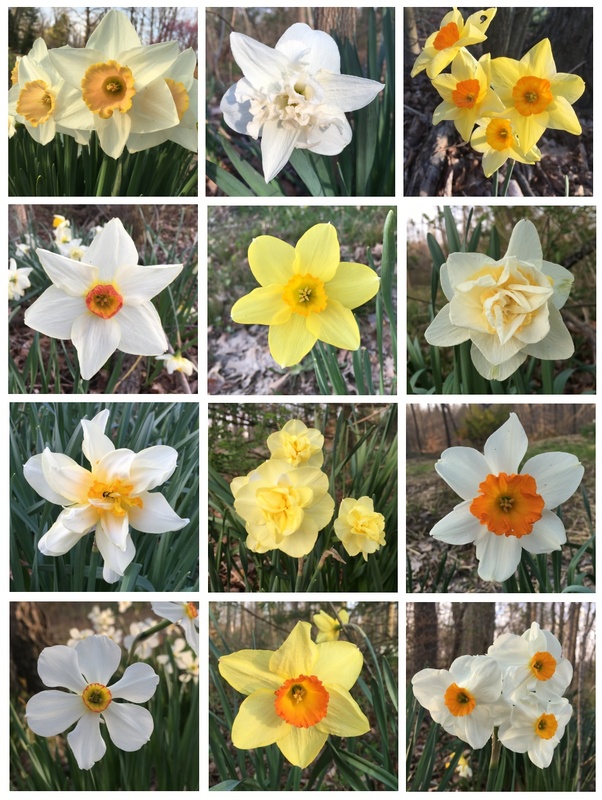 The combo image below showcases all the different daffodils we have growing in our woodland, however, I am sure there are more we may have missed photographing. 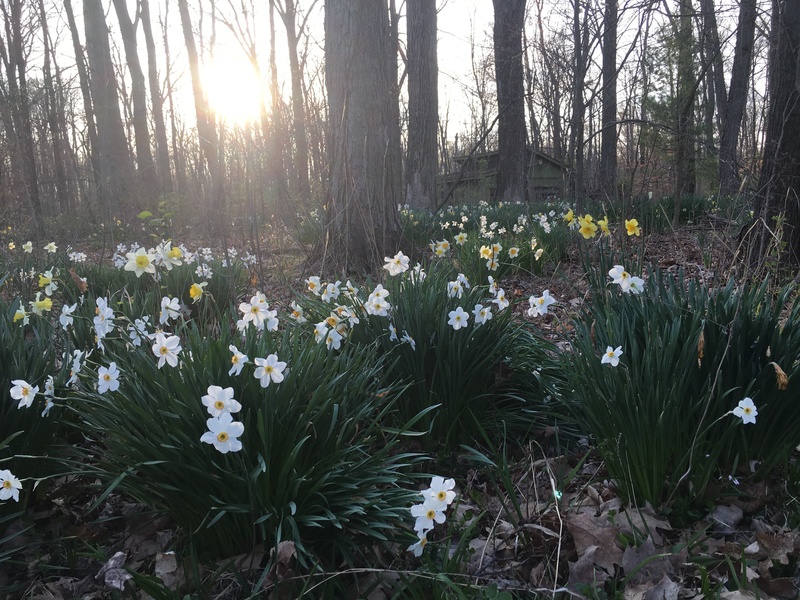 Our diverse varieties provide us with blooms through the entire spring season and making woodland walks exciting to see the evolution of the prominent color as the varieties alternate peak bloom. 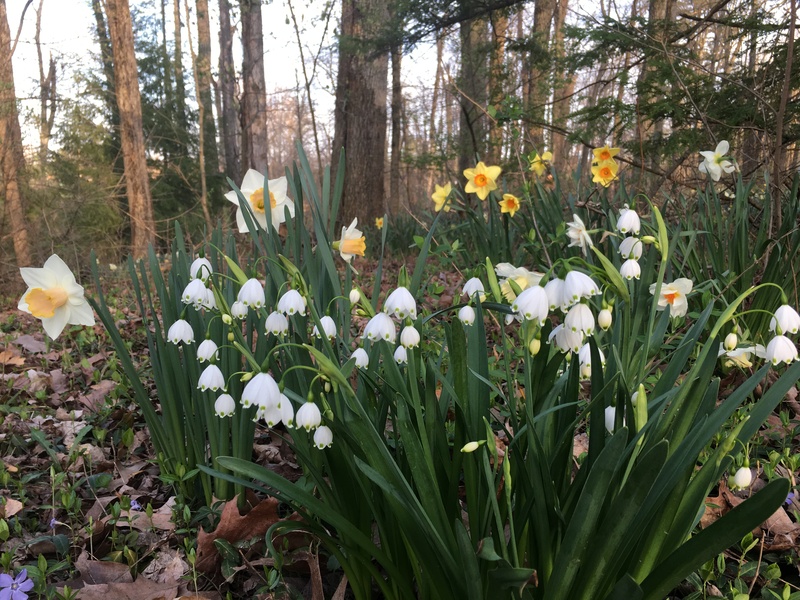 Earlier this spring we built a few bulb containers using our cluster woodland plantings as inspiration and I loved how reminded me of our home. 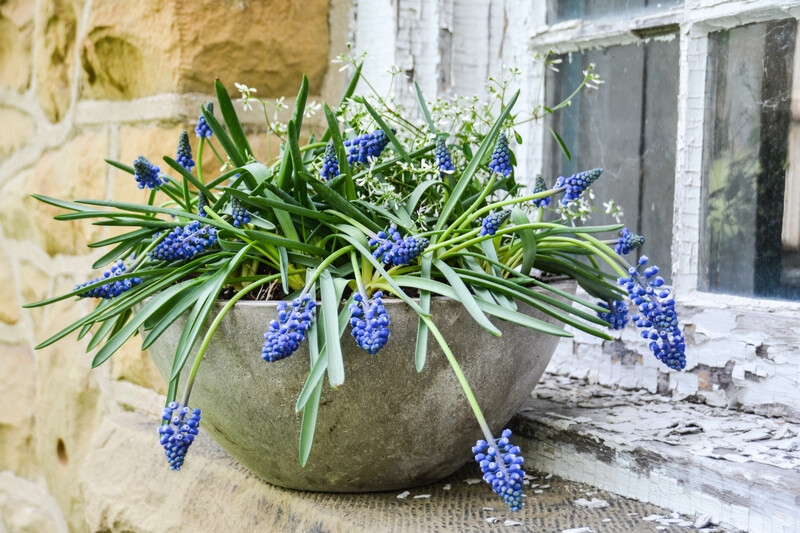 Next spring we have 60 black gallon nursery pots pre-planted with bulbs for building more unique containers of the more unique varieties. All the varieties we have for next year are from Longfield Gardens, and here is a sampling of what we are working with. The plan is to have these winter over and then as the push in the spring transfer into containers. Wish us luck. This entry was posted in Bulbs and tagged bulb cotainers, bulbs, container design, daffodil, entry way containers, fresh flowers, garden design, garden inspiration, gardening, gardens, grape hyacinth, landscape design, narcissus, narcissus bulbs, Ohio, Plant Combos, spring bulb planters, spring bulbs, tuips by Nick. Bookmark the permalink.